The UK IT Industry Awards are run by the Chartered Institute for IT. They're open to both public and private sector organisations, and recognise the most outstanding work done during the year. We're thrilled that the MOT testing service has been recognised in this way. The service, which has been developed with our partner Kainos, records MOT test results for vehicles in Great Britain. It's a vital part of our strategy to help people keep their vehicle safe to drive. The MOT testing service was launched in 2015. Our previous MOT solution was fully outsourced on a 10-year contract, which started in 2005. It included the mainframe backend, all software and providing garages with dedicated hardware to record MOT test results on. As the contract was coming to an end, we used agile delivery to start developing our new service. We went through the alpha and beta development phases, and we'll soon be having our live digital service standard assessment with the Government Digital Service. Throughout the development, we've made regular improvements to the software, based on feedback from users. And we'll continue doing that as we learn more. When developing the service, we knew that it would need to record up to 150,000 MOT results every day - that's more than 250 per minute. There are around 60,000 MOT testers in 22,500 garages using the service 7 days a week. It supports over £1 billion of garage transactions a year. Making the right technology choices was vital. When we considered hosting, we carried out an assessment of cloud technology providers, before selecting Amazon Web Services (AWS). The MOT testing service became the first national government service to be hosted at scale on AWS. The transition to AWS was done in just 10 weeks. In the first few weeks, we created performance tests based on the task of recording an MOT test result. We set up a small-scale production environment, and monitored performance as we iterated the platform, and started to scale up the production environment. We then took the service down over one weekend, cut over to AWS (including moving a 1.5TB MySQL database), and brought it back up. It meant that the service hosted on AWS easily handled 100,000 MOT tests on day one. Since then, it's recorded the results of more than 40 million MOT tests. So we're very proud that our use of cloud services has been recognised. We're helped by another partner, BJSS and its technical support service, to run the service. BJSS provides a service desk for users, and also manages the production environment to make sure software updates we make are fit for purpose. BJSS was recognised by itSMF UK, the IT Service Management Community, with its 'Service Transformation Project of the Year' award in late November 2016. 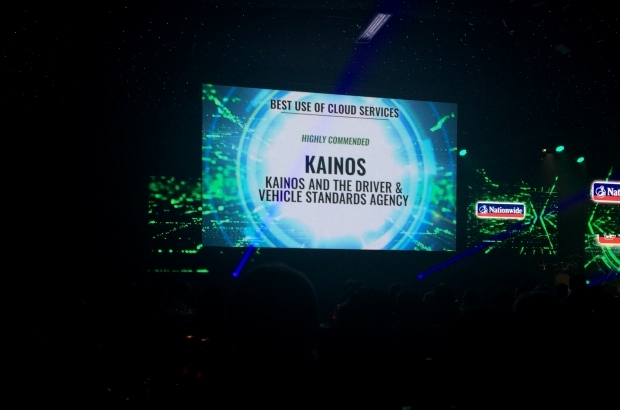 This also follows DVSA and Kainos scooping the 'Cross-Sector Digital Collaboration' award at the DL100 Awards ceremony in London in June 2016. Recognition of the team's hard work is great - and it pushes us to get better all the time. We're not finished (and never will be). Through user feedback, performance monitoring and research, we’ll continue to improve the service to meet the needs of its users.